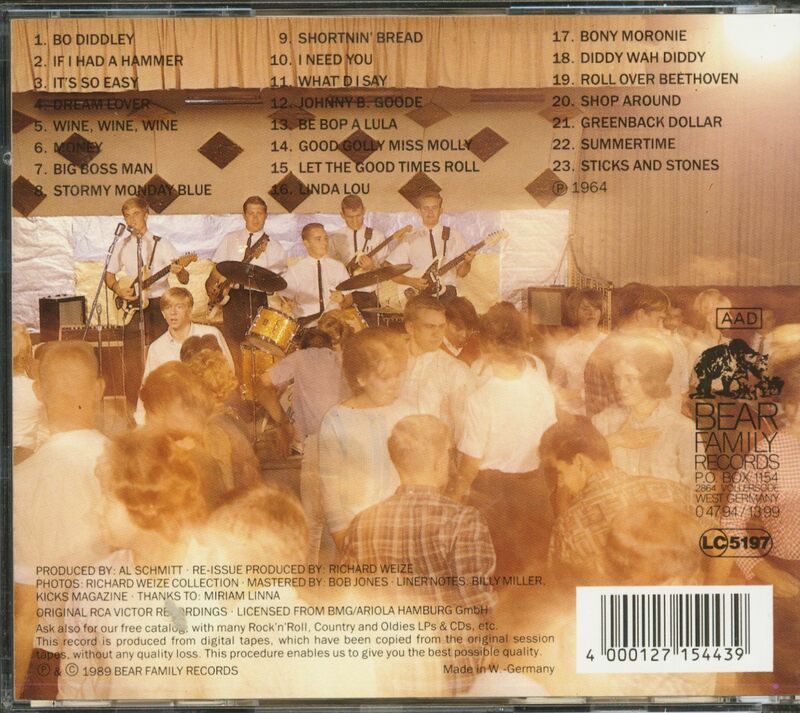 1-CD with 8-page booklet, 24 tracks. Playing time approx. 52 mns. There's just no reasonable explanation why one of the greatest surf bands ever came from, of all places, the relatively sea-less state of Colorado but that's a fact. 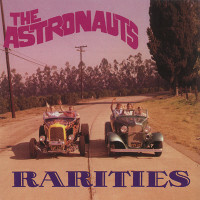 Extraordinarily popular in their home state, the Astronauts were not only a terrific surf band (their big hit ‘Baja’, included here, is one of the finest guitar instrumentals of all time) but a pioneer bar band as well. RCA must have thought well of them they released no fewer than seven albums by these semi-geeky looking guys, all on the strength of one single that go no higher than #94 on the national pop charts. These three CDs gather up their first four (and finest) RCA albums, along with a number of unreleased sides and rare singles-only recordings for a complete picture of an unusual, hard-rockin' band. "Surfin' With" (their first, and a classic in its own right) and "Competition Coupe" were their two really strong studio albums, and feature gems like Baja, Kuk (a practical dictionary of surfin' terms for the typical 'ho-dad'), Misirlou, Movin’ and Competition Coupe. 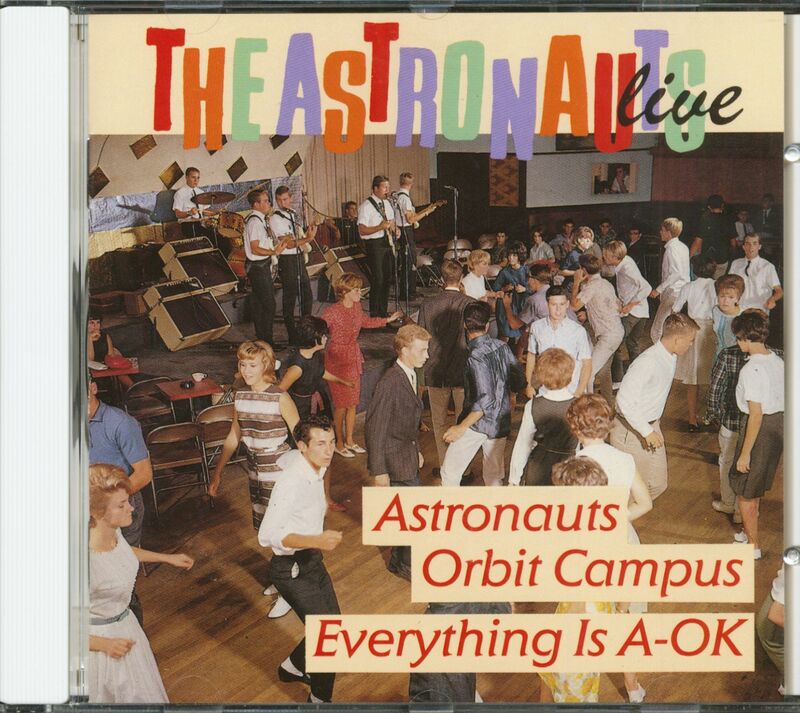 'Everything ...' and 'Astronauts Orbit Campus' are both live albums, and feature the boys in a beer-drenched nightclub session pounding out favorites like Wine, Wine, Wine, Bo Diddley, Shortnin' Bread and a fine version of the Kingston Trio's Greenback Dollar. But the real coup-de-grace as far as collectors are concerned is the superb 'Rarities' volume, which includes their first single for Palladium (Come Along Baby’ b/w ‘Tryin' To Get To You’) and their many local hits that failed to make any of the RCA albums: Hot Doggin', Surf Party, Ride The Wild Surf, Go Fight For Her, Swim Little Mermaid, The La La Song and Tomorrow's Gonna Be Another Day. Between them, these three CDs truly offer the very best of this seminal band along with more than 30 pages of stunning, previously unseen color photos. There was the guitars, creamy white Fenders - Four of 'em countin' Stormy's bass (which looked like a ukelele on the gigundo one time state high school wrestling champ), matching suits sharper'n a tack and that big-as-the-Rockies reverb. That's what still rattles my noggin' years after first diggin' the Astronauts pound out thick surf licks on the old 'Hullabaloo' show. Sheercool, Colorado style. 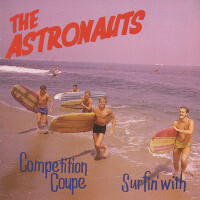 It certainly was odd that one of surf music's top touring attractions wasn't even from the coast, but with Baja as their calling card, the Astronauts let their music do the yakkin'. Their triple Fender reverbwhomp left many a SoCal picker speechless on their premier California club jaunt and before long they were makin' waves all over the USA. The Astronauts fared particularly well on the college frat circuit and by '65 they were able to lay claim to having played over 100 schools at least once. But far and away the 'Nauts greatest glory came in January '64, a scant 3 weeks before the Beatles first hit our shores, when Colorado's finest jetted to Japan for a concert tour. Apparently, both Baja and the 'Surf in" LP held the #1 spot on the Japanese charts for an unprecedented 10 weeks and on their Oriental touchdown they were met by 10,000 surf crazy fans at the airport, no small potatoes considering they'd only been in the coastal racket for a few months. Hot Doggin' and Surf Party were first rate follow up singles to Baja and were both loaded with the same monstrous reverb as the hit, but neither charted for the Astronauts (though Surf Party was featured as the theme for the famed beach flick of the same name). Straight out basic rock & roll, the band would always contend, was their strong point and RCA figgered with all the hubbub over their in-person shows, a live LP would be a cool stop gap release for the fans until the flag went down for the Astronauts' hot rod platter to roll. Everything Is A-OK was cut back home in Colorado (the cover sez Boulder, but the MC announces Denver as the locale) at a brand spankin' new joint called the Club Baja named after the homeboys' bread n' butter tune. Even if a few oddball choices like If I Had A Hammer and Stormy Monday Blues weren't exactly the most solid hoots for barnstormin' beaches, Everything shows the 'Nauts was a prime f rat stomp-shout-work-it-on-out band especially when they tear into foamy faves like Wine Wine Wine and What'd 1 Say. The crown wigger on the Club Baja recording's gotta be Shortnin 'Breadtaken at a truly nifty blast off tempo. For my long green, however, it's the band's fourth album Astronauts Orbit Kampusthat firmed the rep that had kids groovin' from Tallahassee to Tokyo. 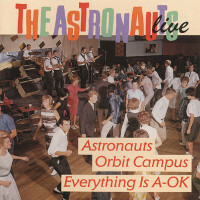 On this live outing (which was taped at the Tulagi Club where the Astronauts could neverdo wrong) they again offered all vocal covers of rock & roll standards yet there's more whomp delivered than on the earlier round and the three guitar drive is right on the money. Sticks & Stones and Good Golly Miss Mollyare flat out wild, Shop Around is dressed down to a two-chord shingaling and you gotta admit the usually torturous Summertime is damn cool when the A-Nauts rassle it. Hell, even the folkie standard Greenback Dol-lar is made to sound like Pipeline here. Yeah, Orbit Kampus is a fourth gear favorite and is probably the most representative full platter for showin' just what the Astronauts were all about. The 'Nauts had seen no king size hit since Baja and through most of '65 and '66 their singles were for the most part misfires (save for the fine Tomorrow's Gonna Be Another Daywhich later clicked for the Monkees). They scored three more teen flicks (Wild On The Beach, Out Of Sight and Wild Wild Winter) and even had their own local TV show for a spell, 'Countdown with the Astronauts,' but it was on the road where the later suc-cesses were to be found. They never waned in Japan with a continual string of sellout tours, hit stacked upon hit and enough clout in '66 to cut a Japanese-only live album. On the home front, the times most certainly were a-changin'. 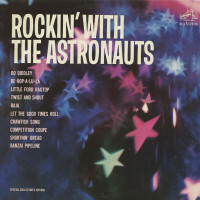 The British groups had rendered the Astronauts' collegiate image and short hair obsolete and even if Bob Demmon bragged to KRLA BEAT magazine in '66, "We did let it grow once and it didn't help our music a bit"the truth is they coulda used some help. Their albums took on an 'if you can't lick 'em, join 'em' pseudo Beatles slant and for their final album, 'Travelin' Men', they were hooked up with Gary Lewis' production team and never sounded stif-fer. By '67 the Astronauts were no more. They'll always be known for Baja but as you can hear, the Astronauts rocket way beyond that. They made great albums and flop singles in an era of flop albums and great singles and left their mark in "every conceivable club, school auditorium and garage in the west"to quote the 'Orbit Kampus'liners. And you best believe any time a kid with an electric guitar cranks his reverb notch past five, he's tippin' his hat to the five boys from Boulder. Yeah dad, give these discs a spin and dig why the Astronauts will forever n' ever be A-OK. 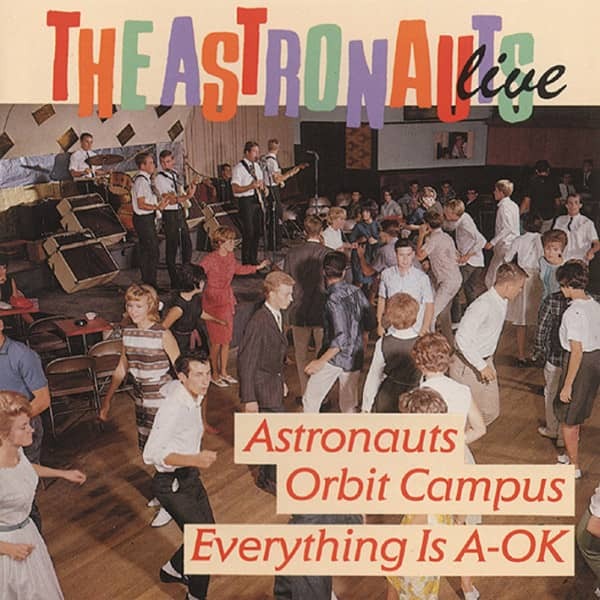 Customer evaluation for "Live - Astronauts Orbit Campus - Everything's A-OK (CD)"